PARADISE DYNASTY in S MAISON: Returning for Other Dishes. 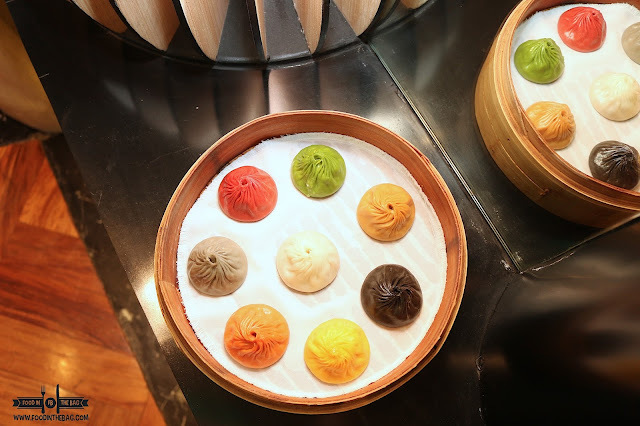 For some, the main reason why PARADISE DYNASTY is so popular would be that they're the first and only place in Manila that offers 8 different flavor XIAO LONG BAO in one basket. 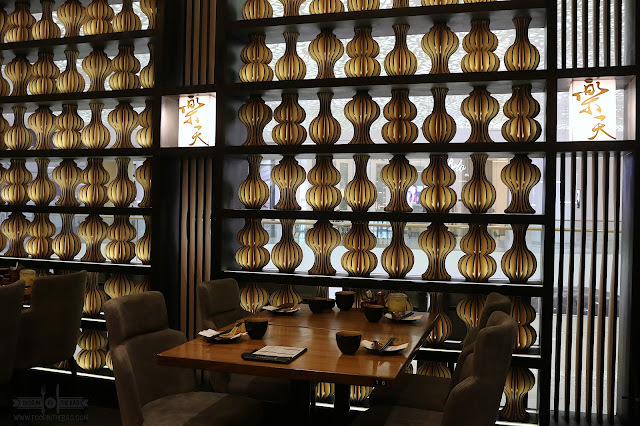 Being able to try the restaurant in SINGAPORE (see here: Paradise Dynasty: Legend of Xiao Long Bao in Ion Orchard, SINGAPORE) , made me quite happy. As such, when they opened a branch here in Manila, I have been to the place multiple times. 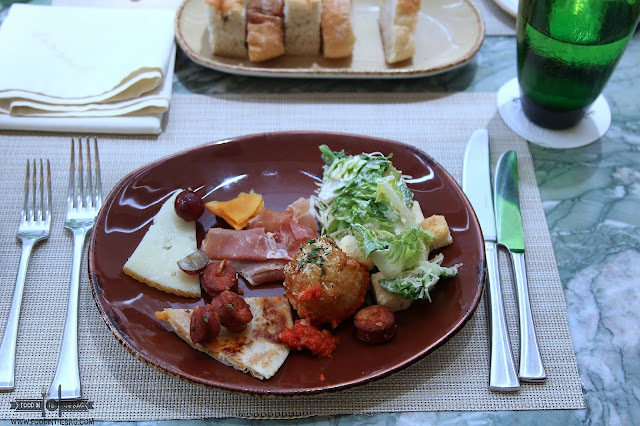 This time around, other dishes that were not brought out back then were presented. You see, PARADISE DYNASTY has a lot in its menu. You won't go wrong with any that you pick. 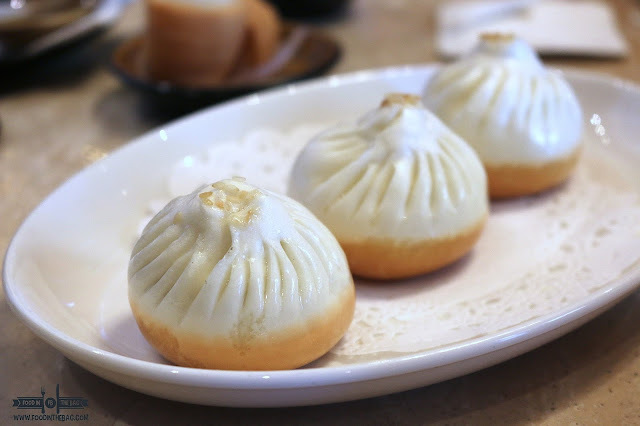 For starters, one could try out the PAN-FRIED SHANGHAI PORK BUN. 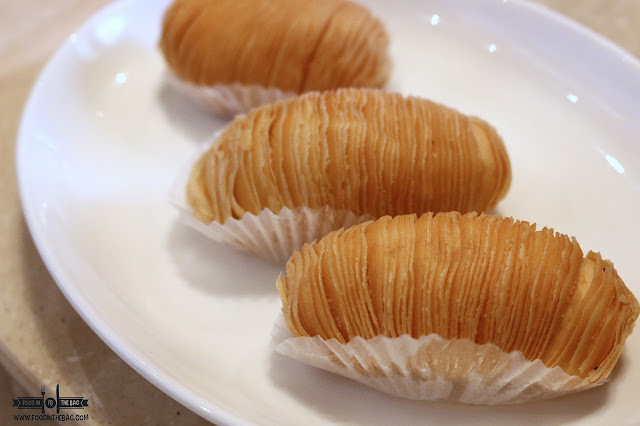 Reminisce of Fried Siopao, there is a crisp bottom layer while the insides were hot and delicious. 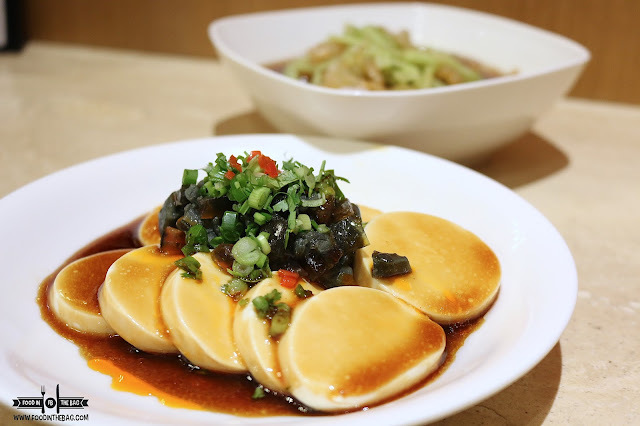 To prepare our stomachs, appetizers like the Chilled Tofu with Century Egg and the Chilled Jellyfish and Seafood in Vinaigrette were served. The TOFU had a firm body but was almost pudding like. It wasn't complicated but was delicious. The jellyfish gave out a bit of bite. One would think that the texture would be a little slippery but it wasn't. There was consistency with each strand. 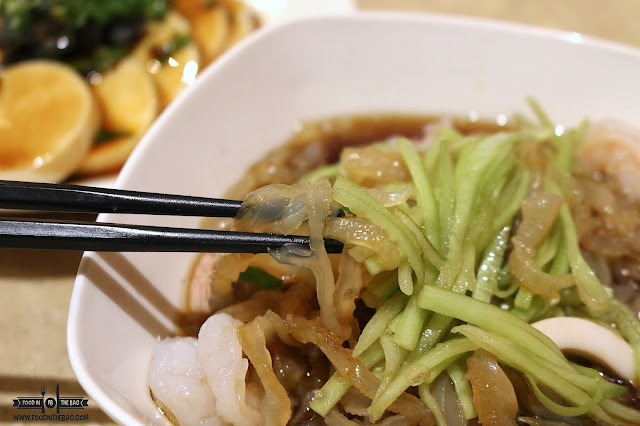 Unknown to many, PARADISE DYNASTY has a number of noodle dishes. 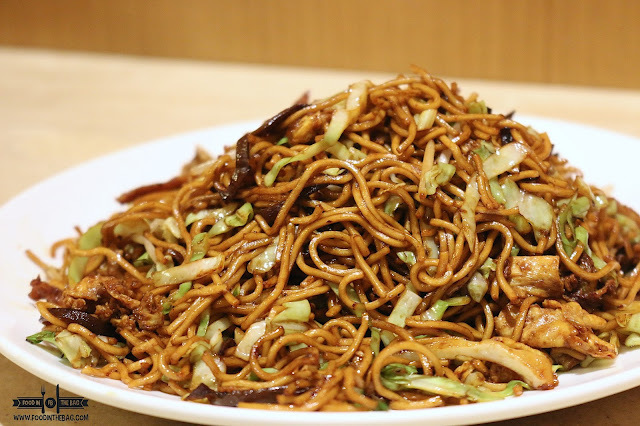 One of them would be the Stir-Fried LA MIAN with shredded pork and black fungus. Very distinct and umami filled, this noodle is a perfect substitute for rice. For me though, I can eat it with rice. 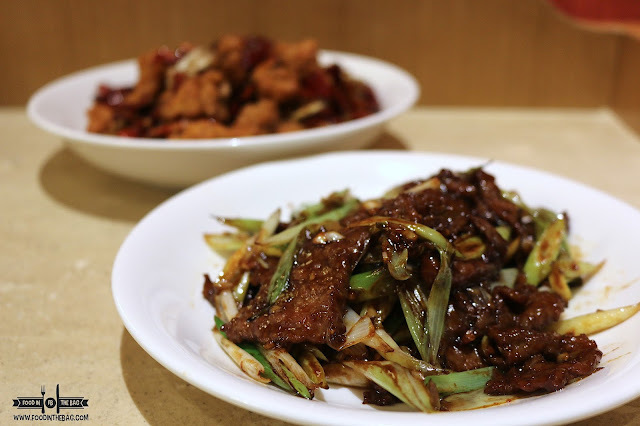 Another no-frills dish would be the Stir-Fried Beef with Scallions. The meat is tender and rightfully so. To execute such a dish might be trivial to some but the technique and preparations used were evident with the product. 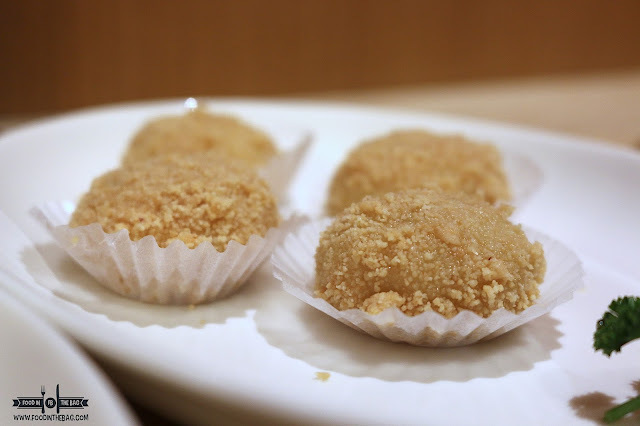 To end the meal, try a Glutinous rice ball topped with grated peanuts. There's a little sesame surprise in the middle. Tasty.